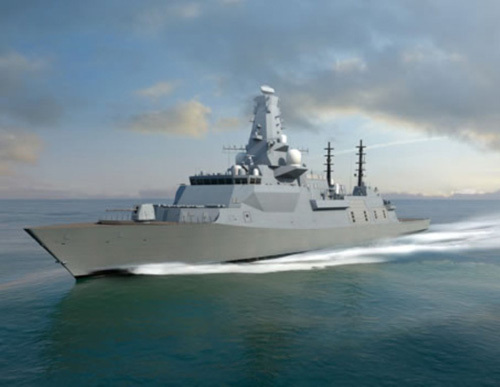 Thales announced a major boost for jobs and investment in the maritime industry with the news that it has been awarded a contract by BAE Systems to supply its anti-submarine warfare sonar for the Royal Navy’s new Type 26 frigates. The announcement to equip the first three ships helps secure around 70 jobs across Thales and its supply chain. The main manufacturing and maintenance work will be carried out across Thales sites in Manchester, UK and Brest in France. “We are pleased to be able to announce this contract with BAE Systems which re-affirms our market position as a world class provider of anti-submarine warfare sensors and systems. It’s fantastic news to see our Sonar 2087 variable depth sonar deployed on the Type 26 platform based on the pedigree of the in-service equipment on the Type 23 and the latest inboard processing to provide an enduring capability for the Royal Navy ,” said Phil Jones, Head of Maritime Missions Systems. A number of UK-based specialist technology companies are also involved in the supply chain for the Type 26 program, including the supply of inboard hardware cabinets from AISH Technologies in Dorset and Aero Stanrew in Devon. The Type 26 will be capable of undertaking a range of roles from anti-submarine warfare operations and humanitarian assistance. The program is set to continue into 2026 with a five further ships anticipated to be built. Thales is the current provider of anti-submarine sonar to the serving Type 23 frigate fleet. This latest announcement firmly establishes Thales’ position as the key sensor provider to the Royal Navy across its sonar, electronic warfare, optronics and communications capabilities. This allows Thales to leverage common technologies and architecture to provide benefits across all Defense Lines of Development. Sonar 2087 is a sophisticated towed array system, which enables warships to hunt submarines at considerable distances and detect them beyond the range from which they can launch an attack. Thales is a global technology leader for the Aerospace, Transport, Defense and Security markets. With 62,000 employees in 56 countries, Thales reported sales of €14 billion in 2015. With over 22,000 engineers and researchers, Thales has a unique capability to design and deploy equipment, systems and services to meet the most complex security requirements. Its exceptional international footprint allows it to work closely with its customers all over the world.